Buying an investment property has always meant more to property investors than simply acquiring another asset. An investment property offers an opportunity to establish financial security for the future. The ultimate goal of an investment property is to establish a stable income stream that will set you up for life. But investment properties don’t remain a secure income stream on their own forever. Savvy investors stay mindful of this and take proactive measures to ensure their investment remains a steady source of income – and that means it must remain a habitable home for tenants and an attractive potential home for prospective tenants. There are a few little amendments that can make your investment more attractive to prospective tenants and more liveable for your existing tenants. With that in mind, sprucing up your property to enhance its appeal to tenants and increase its overall value is easier than you’d think. We’ve put together a few proven measures for achieving this. 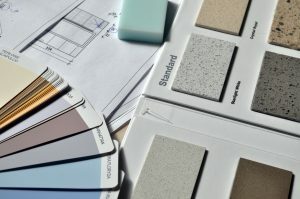 A new coat of paint is the ideal way to freshen up your investment property. It can make a big difference to the feel of the room. It also provides the perfect excuse to rearrange furniture while you’re painting, which can allow you to really change the flow of the property. Replacing dusty and old carpets with floorboards has shown great results for many investors. This can make properties much easier to clean for tenants and it can create a more modern look for the property. There is no need to rip the whole kitchen to shreds. Rather, replacing the handles on old cabinets for a new feel. A pass-through kitchen is an ideal way to add a sense of connectedness to the property. A direct path between the kitchen and the rest of the property is a very desirable trait. Although, this may not be possible if the wall is load-bearing. Mirrors are an ideal way to make a room feel more spacious. Add to this the prominence of light that they bring to a room and the right placement can make a smaller living room feel open and inviting. Having a clear and open backyard means your investment is a prime location for entertaining. A large space where people can gather and enjoy themselves is a very desirable trait for renters (particularly in summer). Ensure that all fencing is sturdy and in good condition. A new coat of paint can do wonders. Fences are also fantastic for hanging outdoor art to add to the aesthetic of the yard. The other benefit of a yard is it allows for pets. According to the RSPCA, nearly two-thirds of Australians have pets so, with an open space for that furry little friend to frolic, you’ll encourage longer tenancies. But, most importantly, remember to check with your council before beginning any renovations. Check if you need building permits or if you are allowed to landscape. Remember that many tenants are now looking to rent long-term and make a home of their rental property – and they have high expectations of the properties available to them. Consequently, it is vital to adapt your property to the changing market to ensure your investment property continues to meet the demands of tenants so that it can continue to provide you with steady income well into the future.